Why Am I Sharing My Sports Picks with You? As always, I show you once again that I don’t just only sit back and tell you how I can win like the typical touts do. I actually go out there and wager tens of thousands of dollars a day so I can show you how I can win. And that’s how I have made my millions. I didn’t make them from selling my picks. I made my millions from betting on my own picks. So why am I finally coming public now to share my selections with you? Reason #1: The sportsbooks no longer let me wager the kind of amounts I used to back in the old days when I could just walk into The Mirage and bet $100,000+ per ticket. Even just a couple days ago, the sportsbook would only take a max of $2,000 on my parlay wager. 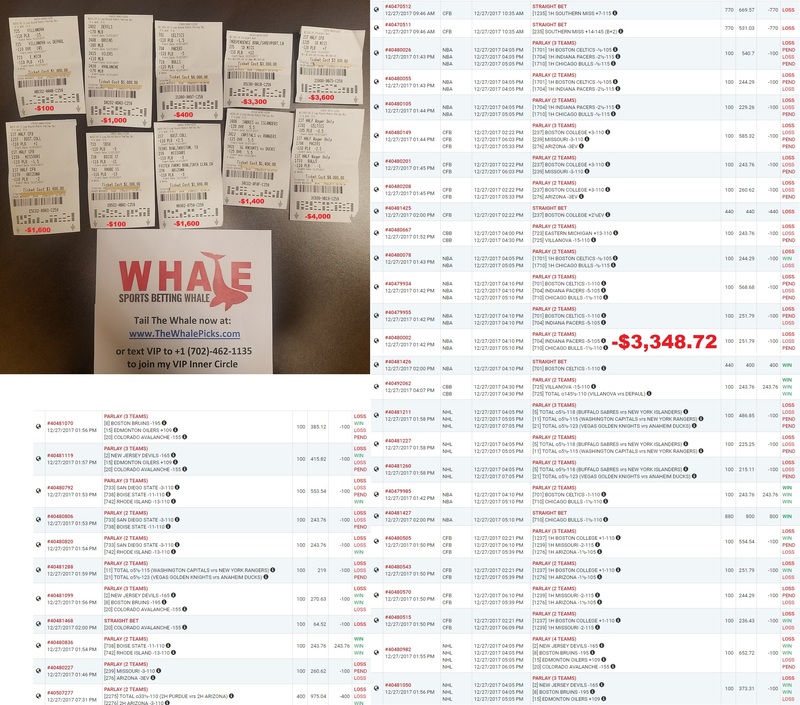 I had to twist a lot of arms just to get the sportsbook to increase my limit to $4,000 wager. That’s quite a far cry from the 90’s and 2000’s when I was allowed to accelerate to max limits. If I can’t bet at these sizes now, I might as well share my picks with you so that you, too, can run with the torch share into the success. Reason #2: I truly want to help you and others to share into the success. I have already done it for myself for so many years. When I was allowed to accelerate, it wasn’t uncommon for me to win big money consistently. I can tell you about the times when I won so much money at the sportsbooks that I stopped caring about hundreds of thousands of dollars. One time, the director of the Mirage sportsbook came to me and mentioned that the book was missing several hundred thousand dollars in chips. He suspected that I must be having those chips because nobody else in the casino was betting as much as I did on sports. One day, I happened to be looking around under the sink and ran into a shaving bag that held hundreds of thousands in betting chips that I was oblivious to. Simply put: I had no idea that there were hundreds of thousands of dollars in chips just casually laying under my sink because I had won so many other millions of dollars from betting on sports that I had lost of track of some hundreds of thousands of dollars just laying around the house collecting dust. Other times, I won so much money that there wasn’t enough ways for me to spend it. I’ve given away millions of dollars of my sports betting fortunes to people in my circle over the decades. One time, I gifted my parents with a couple million dollars to help them retire early. I’m not sharing these stories with you because I wants to brag. But it’s important to highlight some of these stories to give you an idea of the kind of successes that I’ve enjoyed when I could accelerate to maximum limits. Now that I’m limited on my action, my next great mission is to help you share into my success. If I don’t feel certain that I can help you, I wouldn’t be doing this, period!